The social butterflies of the canine world. Outgoing dogs are great. Wanting loved, cuddled, and lots of attention. They make great family pets. Training is, of course, always needed for a well adjusted dog. Even an outgoing one. Outgoing dogs are friendly and sociable. They want the most social interaction, and attention from their humans, than other personality types. They, also, fit best into most households. Bonding closely with their owners. Outgoing dogs have a tendency towards separation anxiety when left alone or at shelters. Dogs with outgoing personalities show traits of both the confident and adaptable dogs. Generally mild mannered, with a flexible temperament. They can show dominant traits with food or toys when left unchecked. Or submissive traits in the presence of a strong human or dominant dog. Attention and consistent training is needed with the outgoing dog. Along with lots of exercise, this is a must. Not very compatible with aggressive dogs, as they will meet force with force when confronted by aggressive dogs. When pushed too far into submission, they may act aggressively or defensively. As long as they are supervised, outgoing dogs should be compatible with confident and insecure dogs. Aggression or defensive behavior may arise if bullying by the confident dog is allowed to happen. With an up close and personal socialization style with other dogs, outgoing dogs tend to be a bit pushy. A confident dog might see this as a challenge. Or the outgoing dog may overwhelm an insecure dog, if not supervised. They are also highly compatible with adaptable and independent dogs. With an adaptable dog, a leadership role might be taken. A social outlet they should become for an independent dog. Lots of the little dogs we foster are outgoing dogs. 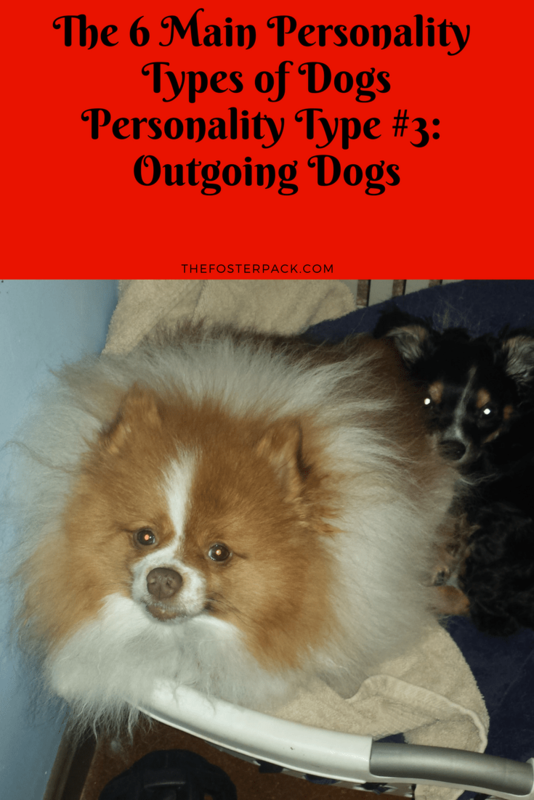 Fitting into our packs easily, this is the personality type we prefer for short-term fosters. Although, we don’t really pick who we foster by personality. Our foster dogs are usually picked by need. Whoever needs us the most. As long as we think they will get along with at least one of our sub-groups.